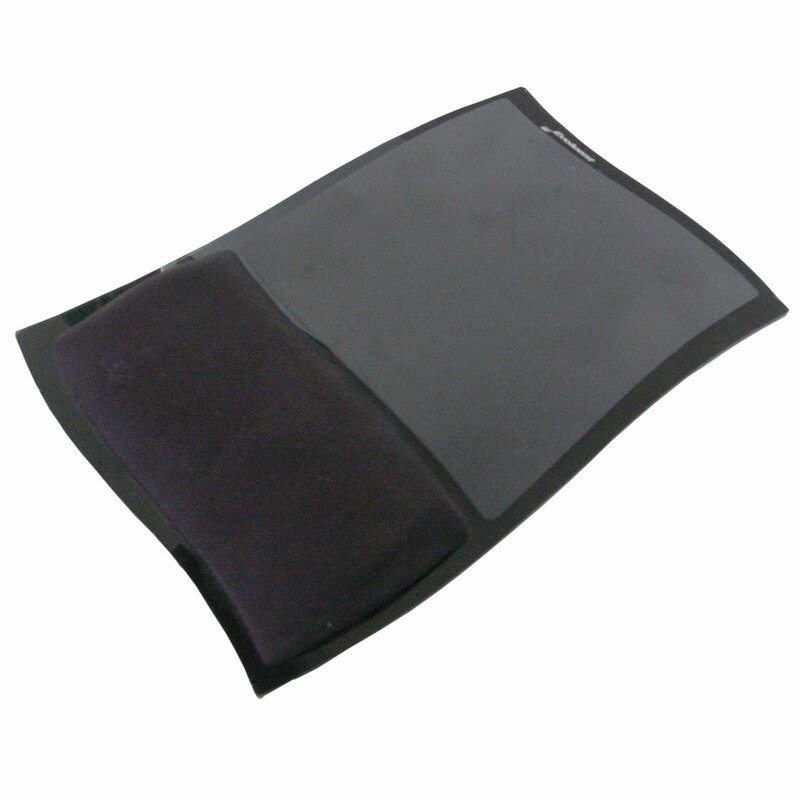 Provides Padded Support The gel wrist pad provides a yielding, padded surface for users who may be sensitive to contact with hard surfaces or who have bone spurs which require padded support. Rigid Base: This mouse pad from Evoluent features a rigid acrylic base which provides a firm and level mousing surface over uneven or soft surfaces. Low Friction Mousing Surface: The 7" x 7" mousing surface features a lightly textured low-friction surface designed for both easy movement and accurate sensor reading from all common types of mouse. Integrated Wrist Rest: The integrated gel wrist rest provides support and padding for users who may have sensitivity to contact with hard surfaces. Gripper Base: The entire underside of the Evoluent Wrist Support Mouse Pad is covered with a rubber gripper which ensures secure positioning on any surface.